Stable Connection: Solid Bluetooth and FM connection lets you stream music straight from your phone to your car's sound system. 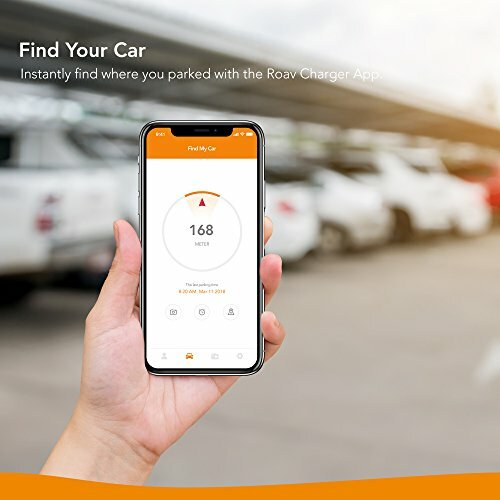 Built-In Car Locator: The Roav Charger app records your car's location the instant Bluetooth connection is lost and guides you back. Forgot where you parked? Roav didn't. 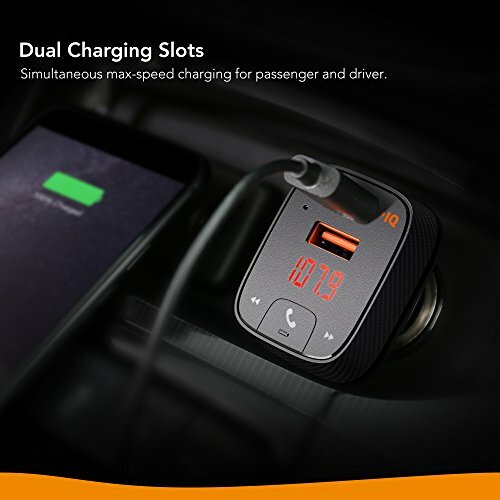 Dual USB Ports: Enjoy simultaneous high-speed charging for driver and passenger or plug a USB drive into the top port to play saved files through your car's sound system. 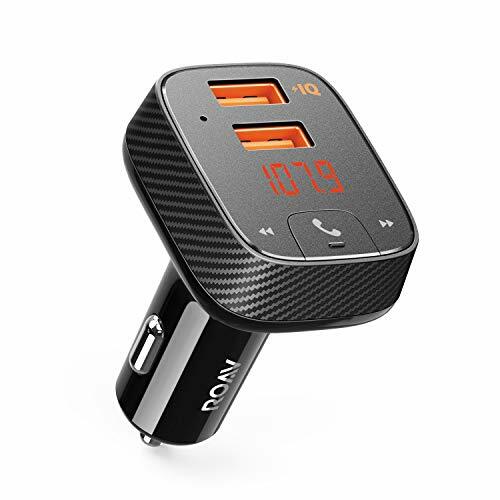 Qualcomm Quick Charge not supported. 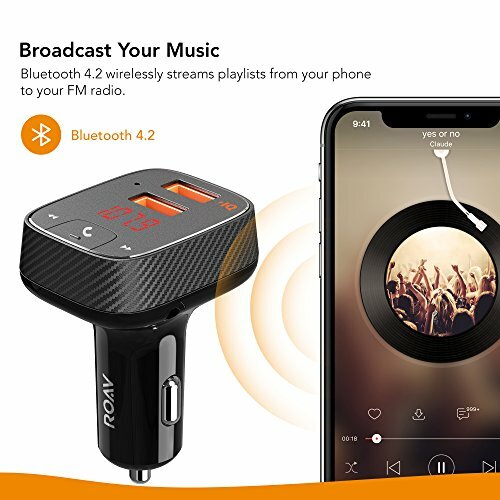 Effortless Hands-Free Calls: Bluetooth 4.2 provides a strong, stable connection for reliable hands-free calling that you can hear through your car's stereo. 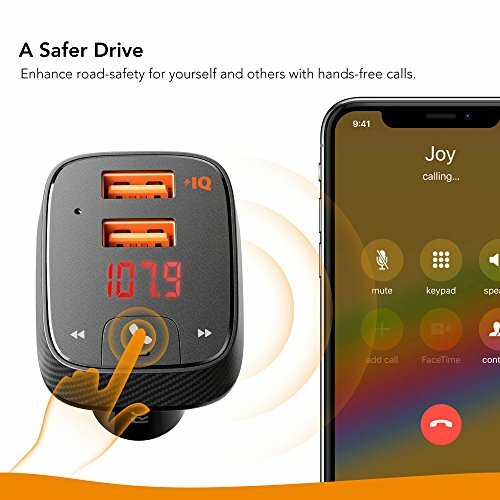 What's in the Box: Roav SmartCharge F2, manual, happy card, 12-month warranty, and friendly customer service. Note: not compatible with 2007 VW Jetta, 2011 Nissan Rogue, 2002 Nissan Altima 2.5S, 2001 Audi A4, 2007 Dodge Grand Caravan, 2011 Mazda Miata, 2005 Toyota Highlander, 2004 Saturn Ion, 2005 Honda Civic, 2008 Chrysler Town and Country, and Nissan Sentra 2012. 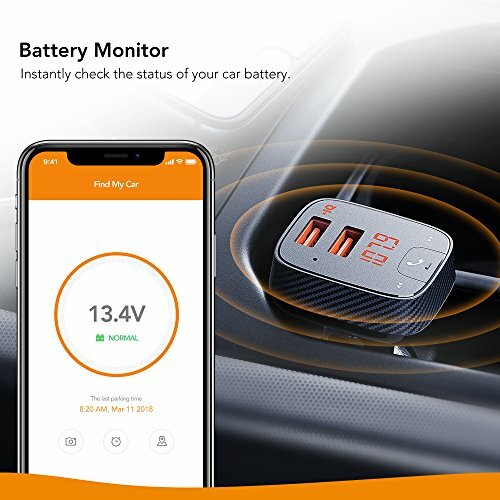 Unboxing and review of the Anker Roav SmartCharge Car Kit. 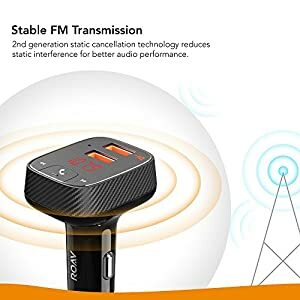 https://www.amazon.com/dp/B0719SNR5N/ref=cm_sw_r_sms_c_api_ScxSzb3N3PZB4.